My second Creative Crew project at Splitcoaststampers this month is for the Technique challenge, and I made the Flip Top Box using this tutorial, and then the bitty box looked sad and lonely, so I decided it needed a card to go with it. The theme for the Creative Crew this month is “Promises of New Things”, and I think baby pretty much covers that! Everything’s new with babies. I am forcing myself to make more boxes and bags, so that’s why I chose the Flip Top Box for this challenge. 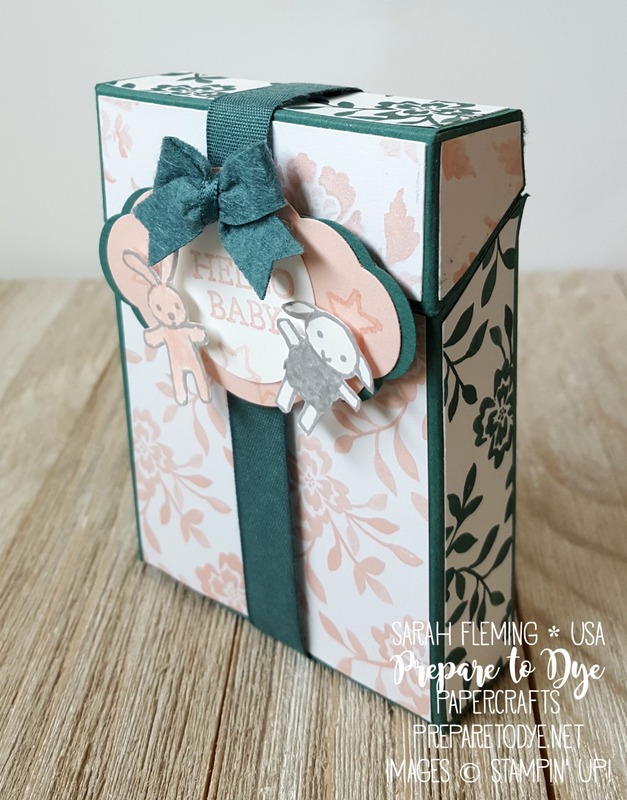 I love the crayon-type box and think it would be fun to fill with either a gift card to a baby store or some tiny knitted baby booties. Or special crayons. Teething rings, etc. I used Tranquil Tide, Powder Pink, and Smoky Slate for my box (and along the way discovered that my toddler probably threw away my Powder Pink ink pad when she tossed a few of my acrylic blocks in the trash). 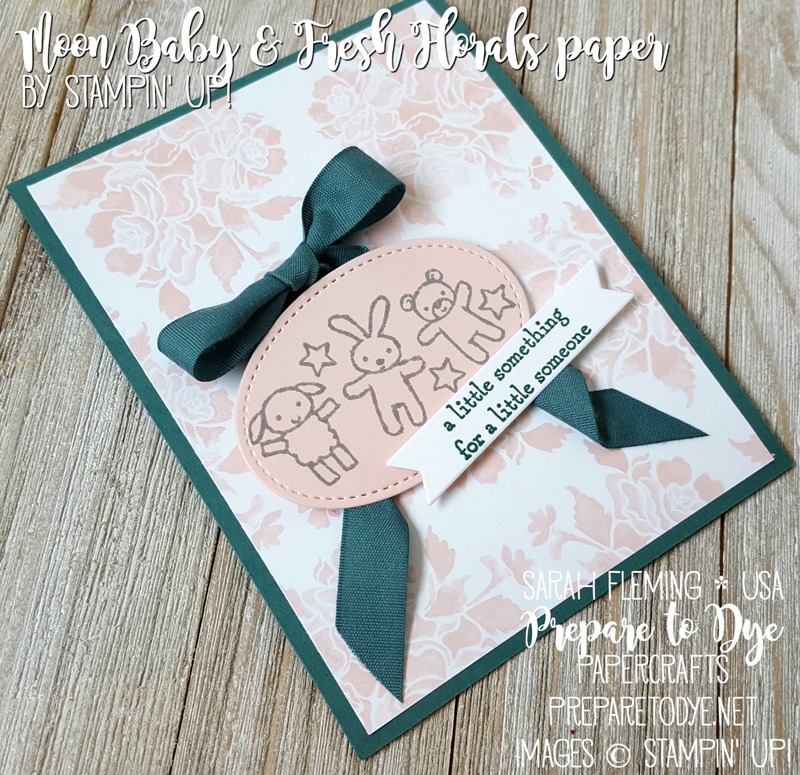 The paper is from the new Fresh Florals paper stack (LOVE). 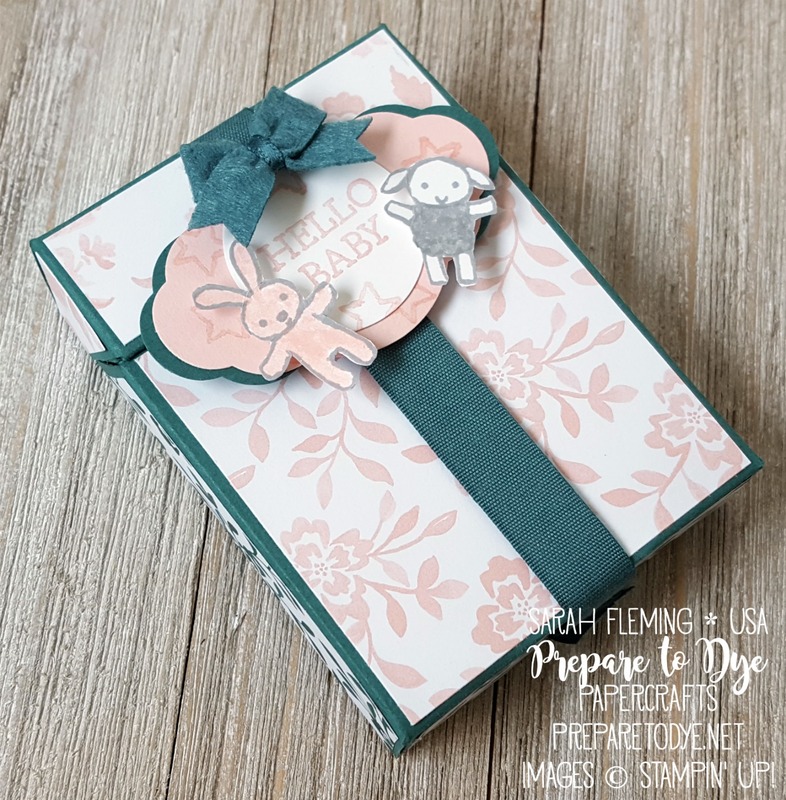 The tag uses the Pretty Label punch and the Moon Baby stamp set. The Bitty Bow is my favorite part of the box. I can’t get enough of these teeny things! 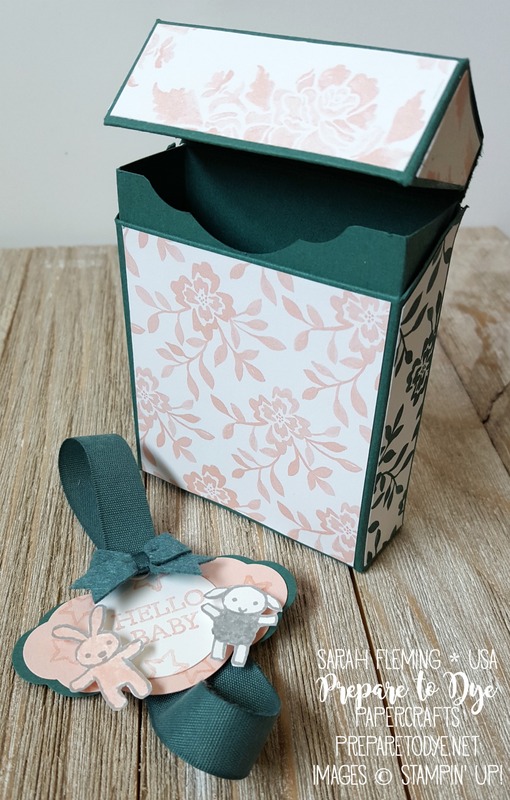 Where the tutorial says to use an oval punch, I used the Pretty Label punch to punch out the decorative insert for the box; that way it matches the tag. Note that I curved off the pointy edges with my snips. The matching card was so fast and easy to make! Make sure you come back later — I have a TON of projects to show you today, because Creative Crew projects are live today, and THE NEW CATALOG HAS BEGUN!! The ordering system is down until 1 pm CDT, but then you can go crazy. Also, I’ll be doing a special live video later today on my Facebook page to show you my top 20 items (if I can whittle it down to that many) from the new catalog, and yes, I will be able to show you the inside of the catalog! If you want to catch me live, go to my Facebook page, like it, and turn on notifications. I’m not sure whether I will go live at quiet time, when my kids are supposed to play quietly without me, or when my husband gets off work. Sometime today, depending on how the day is going!